Preparation for a Vacation to Dubai ! I finally kept up the promise given to my son about going on a vacation after he joins graduation. Our last vacation was to Delhi and Ranthambore National park in 2010. After which i was diagnosed with Multiple Myeloma. Its been 4 years and i too wanted to travel. After taking permission from my Oncologist, Ayurvedic doctor and Physician i gave a green signal to hubby and son. My son zeroed in on Dubai. We goggled for various travel agents in India for packages to Dubai. We were not too happy with the available options. 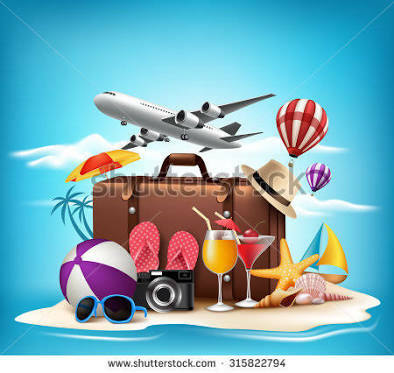 The travel agencies usually arrange for Air tickets , hotel, visa processing and a local tour . Sightseeing on other days is optional and a list of other attractions are provided which can be selected and a quote is given based in the options one selects. We then looked up several websites and blogs on the various tourist attractions in Dubai. During the search we learnt that tickets to Burj Khalifa are preferably bought in advance. The tickets would be cheaper and it would be easier to get a ticket during the most preferred time which is around sunset. The idea of booking tickets much in advance prompted us to check if we can book tickets for other tours like Desert Safari, Lost chambers , Ferrari world etc in advance so we won’t have to stand in queues and we can also plan our schedule . There are several websites which give details of all the tourist attractions and tickets can be booked online. We checked Emirates website and found that we could apply for Dubai visa also from their website once we book tickets from them. With this information we decided to book tickets from Emirates website. The number of tourist attractions were too many and we were sure that we will not be able to see all that we wanted if we go through travel agents. Air tickets were booked and then we applied for Visa using the reference number given by Emirates. The process was quite simple and we got the Visa within 4 days of submitting all the documents online. We simultaneously looked for hotels , their location and based on our budget we booked a hotel in Al Barsha from their website. We then listed out all the tourist attractions that we wanted to visit and booked all the tickets online as per our schedule. So Air tickets , hotel , tickets for tourist attractions were done. We then checked to see if it was possible to buy a temporary SIM card once we land in Dubai. We soon found that Etisalat and Du were the telecom provider’s in dubai and that one could buy a prepaid card at the airport itself. That was some good news. This would help us in locating restaurants ,malls, booking taxis etc. We then searched for information on taxi services. We found that taxi services are quite good and there are taxi stands near malls and tourist attractions. We came across a few blogs about bad taxi service and not being able to get a taxi. Meanwhile we got in touch with my brother’s friend , who works in Dubai, who suggested that we hire a taxi for the whole day which would be very convenient. We then decided to hire a taxi. So , everything was set. Return tickets through Emirates website, Visa through Emirates website, hotel booking done , entry tickets to Burj Khalifa, Desert safari, Ferrari world, yellow boat tour and lost chambers . Taxi also arranged. Time to pack and fly to Dubai !! Categories: Uncategorized | Tags: Burj khalifa tickets in advance, Dubai, Dubai visa through Emirates, Etisalat pre paid, holiday, plan, planning, pre paid cards in dubai, Taxi service in dubai, Vacation | Permalink. , my son, hubby and i went for a vacation. The last time we travelled was to Delhi and Ranthambore wildlife sanctuary in 2010. Our son was was growing up so we had decided to travel every year. But destiny had some other plans for me. I was diagnosed with Multiple Myeloma in Oct 2011, been going through all the ups and downs all the while. Finally I now have the courage to travel . I had promised my son that we will go once he joins college. 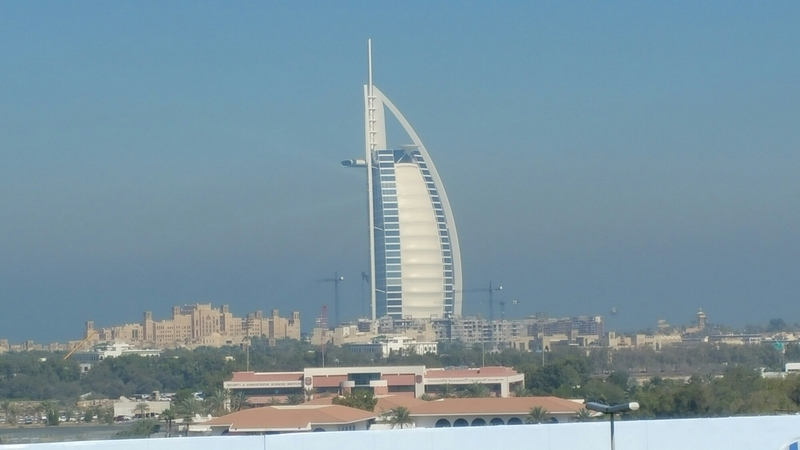 After checking out various locations we zeroed in on Dubai. We began planning for the trip. We started exploring various options. We didnt want to go through the regular travels agencies like Thomas cook or cox and kings etc. We then decided on the dates, the Airlines that we want to travel with , the various hotels that are available, the local tourist spots etc. I expressed my desire to travel , to my Oncologist, my Ayurvedic doctor and my Physician. All of them said I can go and wished me well. When I asked my Physician to suggest any medication for problems like stomach upset etc, she immediately pulled out a sheet and quickly wrote down medications for cold, cough, fever, stomach pain, gas in the stomach, pain killers, diarrhoea etc. Said I need not worry as the trip is just for a few days. We booked tickets and hotel accommodation and also applied for online Visa from the Emirates website as we booked tickets on Emirates. We just received our visas by mail. Our trip is from 16 Feb to 21 Feb. I have been planning about the foods that I would be eating while I am travelling. Having just recovered from severe stomach upset and asthma , I am lil worried about having food outside. I have made a list of snacks that I would carry from here. I checked if there is a supermarket or grocery near the hotel that we booked and thankfully there is one in the adjacent lane. I plan to raid this supermarket as soon as we land there and pickup a lot of fresh fruits and some veggies like carrots , cucumbers etc. Hope to travel safe and get back home intact. Categories: Uncategorized | Tags: cancer, food, medications, travel, Vacation | Permalink.